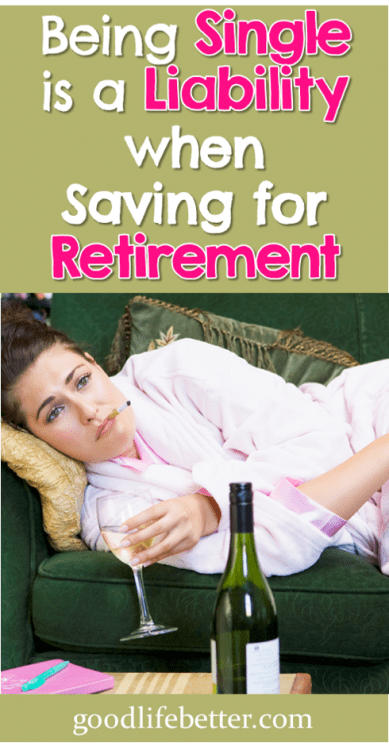 Being Single is a Liability When Saving for Retirement | Good Life. Better. This post is a companion to another Good Life. Better. post that was similarly named, but which made the opposite argument (i.e., that being single is a good thing when it comes to retirement planning). Which is correct? They both are. 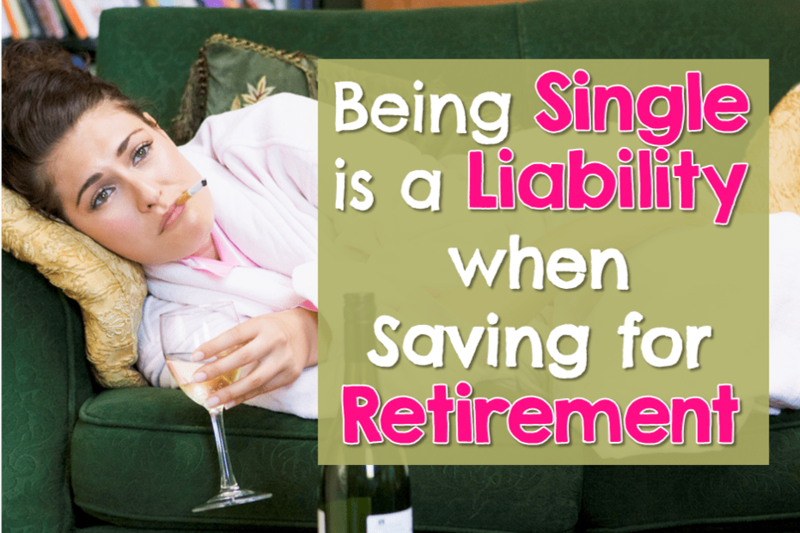 The points made in Being Single is an Asset When Saving for Retirement are all valid, but they require single women to take control of their financial lives. And that’s not easy. I know because while I did some thing right in my 20s and 30s, I did a lot of things wrong. I let life happen to me instead of happening to it. This changed in 2016 when I started focusing in on what the rest of my life would look like, and what my legacy would be. Doing this led me to create a new plan for my future that I began implementing in January of 2017. It led me to take control. For me, 2017 was a year of transformation, not just when it came to my money but also my health and even my career. I paid off over $43,000 in debt, lost over 30 pounds and said yes to a job opportunity that allowed me to gain new skills. You can start improving your life too—there is no magic formula or secret sauce. You may not be able to make as much progress in a year’s time as I did but I can’t believe you won’t make at least some measurable improvement in your life by being intentional with your spending and your saving. But if you aren’t ready, here are some excuses I used to explain why I was standing still (or going backwards). Don’t wait too long, however. I was in my early 40s when I took control and, while I celebrate the progress I’ve made, I sure do wish I had started earlier. This is a really great excuse that I totally relied on for years! I would look at my friends with partners and think about all of the expenses they only had to cover half of with housing being the biggest. And when they traveled, they got to split hotel and rental car costs. How unfair! Of course, a lot of these friends lived in much larger houses than I live in which meant their costs were higher. And when I traveled, I would usually travel with a friend and end up splitting the costs too. Plus, while I may not have had anyone to split the expenses with, I did retain complete control over how my income was spent (meaning I could adjust costs down without having to check in with anyone). But … fairness! 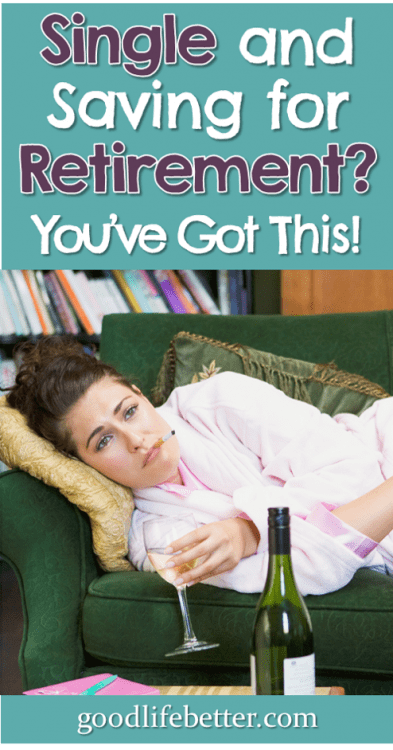 This is another good one because we all know how intimidating it is to have to make retirement planning decisions on your own. I mean, how can I be sure I won’t screw it up? After all, I have only been reading personal finance books for the last 15 years, and spent hours on the website for my retirement plan studying the fund options. Plus, that creepy investment advisor that a friend of a friend said she thought was okay made it sound confusing, and—even though my instincts were screaming don’t trust him when we met—I can’t possible know more than he does, right? True story: I once met with an investment advisor who told me that there were much better options for long-term care than the “OASDI” she saw from my paycheck I was paying into (I shared my paycheck with her? What was I thinking!). If you are unfamiliar with the acronym OASDI it stands for Old-Age, Survivors and Disability Insurance (otherwise known as Social Security). I wasn’t paying into it by choice, I was paying into it because it’s the law. And she didn’t know that. I think she could tell from the look on my face that she had said something really stupid. In a way, she did me a favor. I never again doubted my ability to manage my money. I may not know everything, but I knew more than someone who called herself an investment advisor (and you can too!). How? There are a lot of great resources out there. I got started by reading Suze Orman’s many books but if she isn’t your cup of tea, go to your local library or book store and look for a book that appeals to you (I’ve reviewed a number of personal finance books here). Don’t have time to read? If you are brand new to the topic, I have found The Money Girl podcast episodes to be very easy to digest, and there is a huge archive of shows you can search through if you have questions about a particular topic. 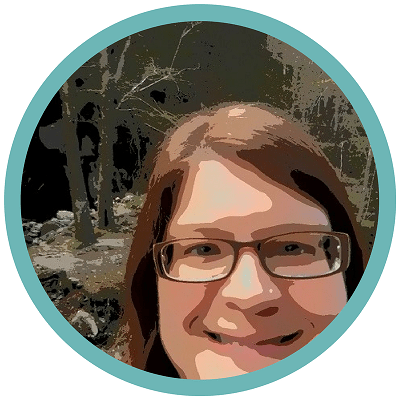 If you are ready for something more advanced, check out Better Off with Jill Schlesinger. The third excuse I relied on to explain why my financial house was not in order was that I just didn’t have the time to manage it all. Do you know how much time it takes to roll over an IRA from an old employer? Or to read a profile of the fund I am invested in and identify how much I am paying in fees? Seriously—do you know? Because I didn’t. Turns out, when I finally got around to it, neither of these or any of the other tasks I had procrastinated doing took as long as I thought they would. Nor were they as hard as I thought they would be. Sure, transferring my account was intimidating as heck and involved lots of forms and signatures but as far as time, it actually didn’t take that long. And looking up information about fees was pretty easy too. I have also found that when I pick up the phone and call the company where my accounts are located, I am connected with a live human who is helpful and answers my question. Their website is also full of great information. Would it be nice to be able to share these responsibilities? Definitely. I have battled anxiety over the years and would have welcomed having someone there to keep me from panicking. Instead, I created workarounds such as identifying the steps I needed to take and tackling them one at a time, celebrating my awesomeness when I achieved a goal, and when all else failed, taking deep breaths. My advice is to find what works for you. You can cut yourself a little slack, but don’t postpone implementing your plan for too long because you need to give your investments time to grow. I identified a lot of excuses to explain why I postponed getting my ducks in a row when it came to planning for retirement. In the end, I found that most of them were fairly weak. Once I decided to get serious about paying off my debt, cutting my expenses, and optimizing my retirement accounts, I was able to figure it out. Sure, it was intimidating at times but it wasn’t exactly organic chemistry hard. I just needed to believe in myself. What excuses have you made? What would help you as you move forward? Let me know in the comment section below!